For one reason or another, a lot of us have a bunch of 18650 cells sitting around. Whether they’re for flashlights, our fancy new vape pen, remote controlled toys, or something more obscure, there is a need to charge a bunch of lithium ion cells all at once. This project, by [Daren Schwenke], is the way to do it. It’ll charge ten 18650 cells quickly using a stock ATX power supply and less than twenty bucks in Amazon Prime parts. The idea began when [Daren] realized his desktop lithium ion charger took between 4-6 hours to fully charge two 18650 cells. 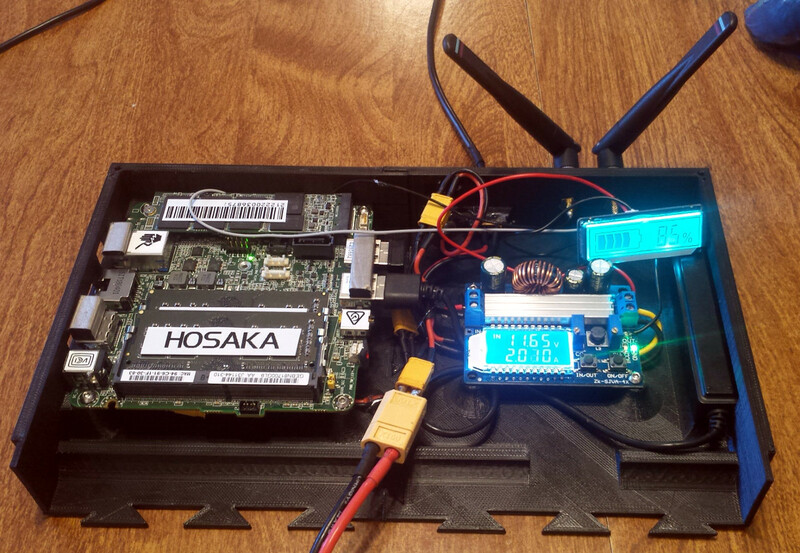 With a Mountainboard project, or a big ‘ol electric skateboard waiting in the wings, [Daren] realized there had to be a better solution to charging a bunch of 18650 cells. There is, and it’s those twenty bucks at Amazon and a few 3D printed parts. The relevant parts are just a ten-pack of 18650 cell holders (with PC pins) and a ten-pack of 5V, 1A charging modules (non-referral Amazon link, support truly independent journalism) meant to be the brains of a small USB power bank. These parts were wired up to the 5V rail of a discarded ATX power supply (free, because you can scavenge these anywhere, and everything was wrapped up with a neat little 3D printed mount. 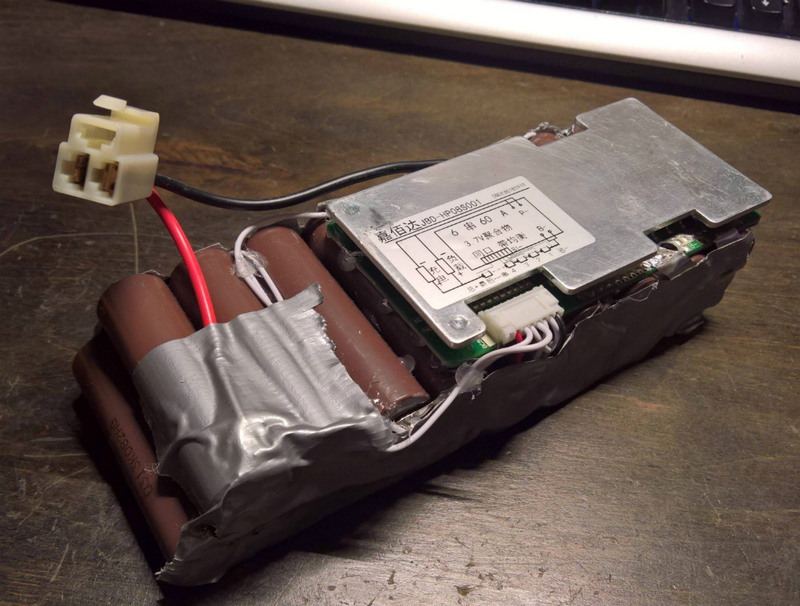 Is this the safest way to charge lithium ion cells? No, because you can build a similar project with bailing wire. There is no reverse polarity protection, and if there’s one thing you never want to do, it’s reverse the polarity. This is, however, a very effective and very cheap solution to charging a bunch of batteries. It does what it says it’ll do, nothing more. Elon Musk isn’t just the greatest human being — he’s also a great inventor. He’s invented the reusable rocket, the electric car, and so much more. While those are fantastic achievements, Elon’s greatest invention is probably the PowerWall. The idea of a PowerWall is simple and has been around for years: just get a bunch of batteries and build a giant UPS for your house. Elon brought it to the forefront, though, and DIYers around the world are building their own. Thanks, Elon. Of course, while the idea of building your own PowerWall is simple, the devil is in the details. How are you going to buy all those batteries? How are you going to connect them together? How do you connect it to your fuse box? It’s a systems integration nightmare, made even more difficult by the fact that lithium cells can catch fire if you do something wrong. [jehugarcia] is building his own PowerWall, and he might have hit upon an interesting solution. He’s built a modular system to store and charge hundreds of 18650 cells. It looks great, and this might be the answer to anyone wanting to build their own PowerWall. Aside from acquiring hundreds of 18650 cells, the biggest problem in building a PowerWall is simply connecting all the cells together. 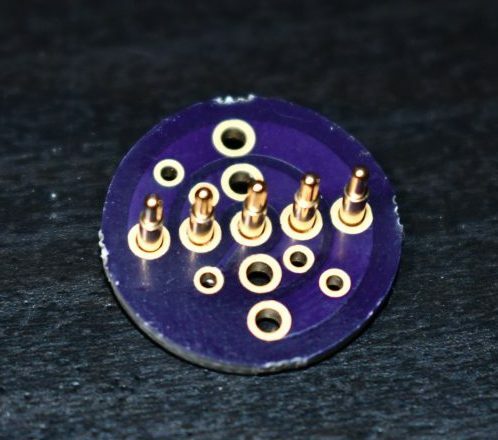 This can be done with 3D printed battery holders, solder, and bus bars, with a few people experimenting with spot welding wires directly onto the cells. 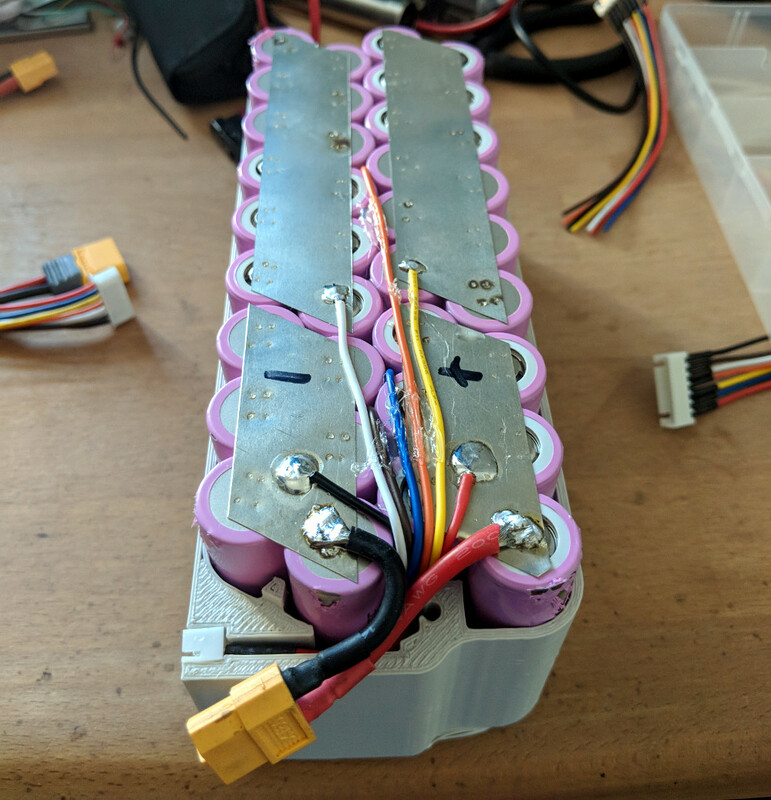 This project might be a better solution: it uses standard plastic battery holders easily acquired from your favorite Chinese retailer and a PCB to turn cells into a battery. The design of this battery module consists of a PCB with sufficiently wide traces, an XT60 power connector, and a few headers for the balance connector of a charger. This is a seven cell setup, and in contrast to the hundreds of hours that go into making a PowerWall the old fashioned way, these modules can be assembled pretty quickly. Testing of these modules revealed no explosions, and everything worked as intended. There was a problem, though: when drawing a high load, the terminals of these cheap battery connectors got up to 150°. That makes these modules unsuitable for high load applications like an e-bike, but it should be okay if you’re putting hundreds of these modules together to power your house. It might be a good idea to invest in some cooling, though. A perfect example is this “cyberdeck” created by [Tinfoil_Haberdashery]. Inspired by William Gibson’s Neuromancer, this wild-looking machine is more than just a cosplay prop or conversation piece. It packs in enough power to be a daily-driver computer, as well as some special features which make it well suited for field work. The body of the cyberdeck is 3D printed, but as [Tinfoil_Haberdashery] doesn’t have a 3D printer big enough to do the whole thing in one piece he had to break it up into subsections. He added a dovetail pattern to the edges of each piece, which makes for much stronger joint than simply gluing it together. A worthwhile tip if you ever find yourself in need of printing something really big. Raspberry Pi aficionados might be disappointed to see the Intel NUC motherboard inside; which features a 3.4 Ghz dual-core CPU, 8 GB of RAM, and a roomy 500 GB SSD in an incredibly small package. To keep everything running the machine can take up to twelve 18650 cells, giving it a maximum run-time of sixteen hours or so. There’s even a 12 V power jack so he can power a soldering iron and other low voltage gadgets off of the deck’s batteries in a pinch. 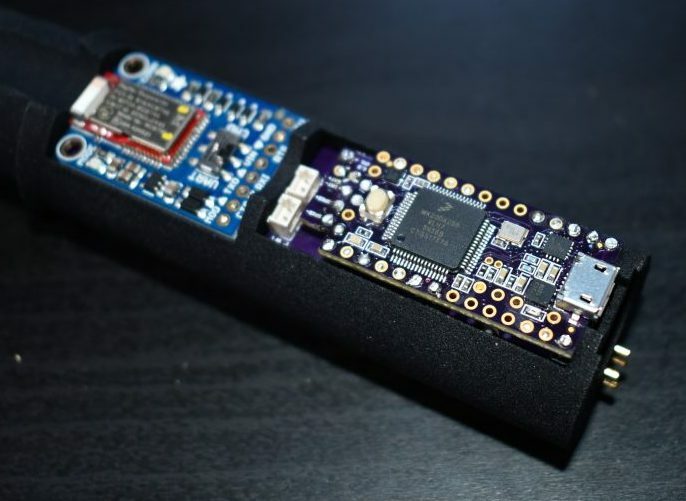 The integrated charger can take anywhere from 6 to 30 V, which gives [Tinfoil_Haberdashery] the ability to charge up from a wide array of sources. But perhaps the best feature of the cyberdeck is the display. It uses a Fat Shark Transformer, a five inch 720p display designed for FPV drone use, which can not only fold flat against the deck for storage, but can be removed and slipped into a pair of goggles. 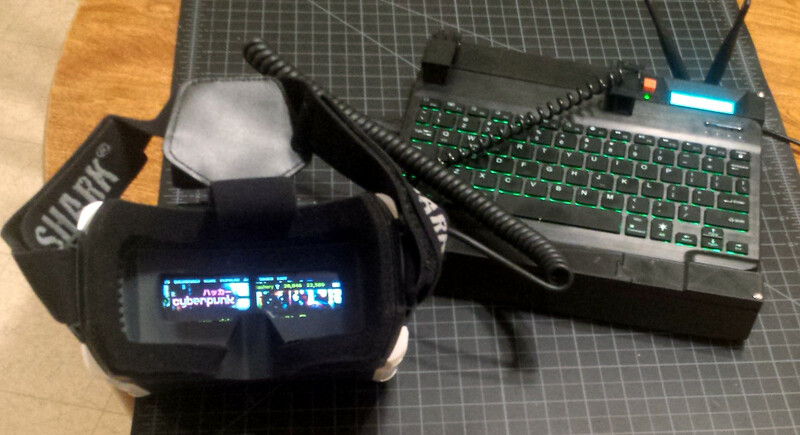 This gives the cyberdeck a head mounted display that looks like something straight out of the movies. It even supports 3D, if you’re willing to cut the resolution in half. Things have come a long way in the world of DIY head mounted computer displays. Really makes you wonder what the dedicated hacker is going to be able to pull off in another 10 years or so.